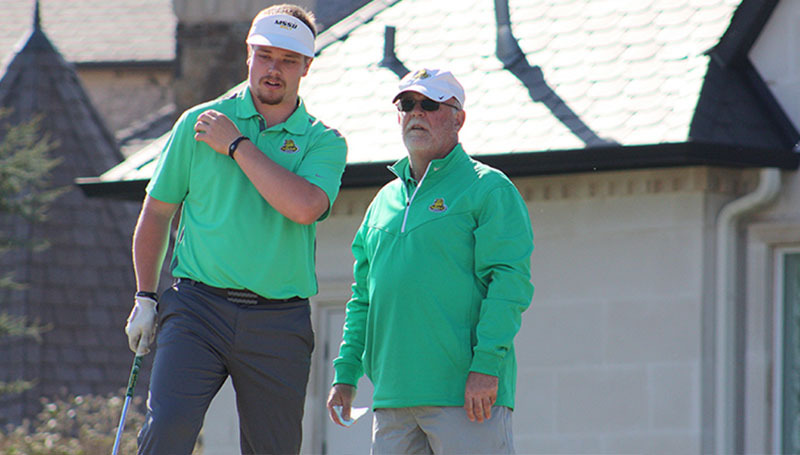 Missouri Southern golf coach Mike Wheeler will go into the Joplin Golf Hall of Fame as part of a presentation and golf tournament this weekend. The dinner to induct both Wheeler and Kevin Roller will be at 6 pm on Saturday night at Twin Hills Golf and Country Club. Roller is the father of former Lion golfer Phillip Roller. Wheeler is in his eighth season as the head coach at Southern, but his contributions to the Joplin golf community are lengthy. Wheeler served as the chair of the Twin Hills Invitational from 2000-2010 and has been the chair of the Twin Hills Pro Am since 2000. He was the Director of the Joplin Golf Foundation from 2002-2009 as well as Chair of Joplin Junior Golf during that same time frame. Wheeler served as the Director of the Missouri Golf Association from 2005-2010 and was a rules official with the MGA at the same time. He served as an assistant coach for the Joplin High School ladies golf team from 2007-09 prior to taking over the program at Southern.